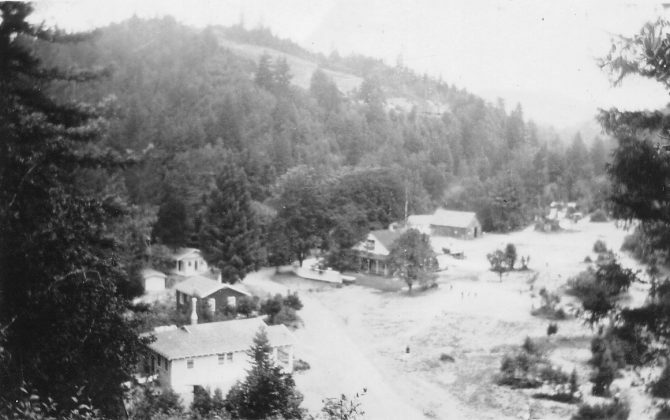 In 1923, during the second State Covenant Conference, a “land committee” was appointed to find property suitable for a summer camp. For the next two years, the committee searched for property around the Santa Cruz area. 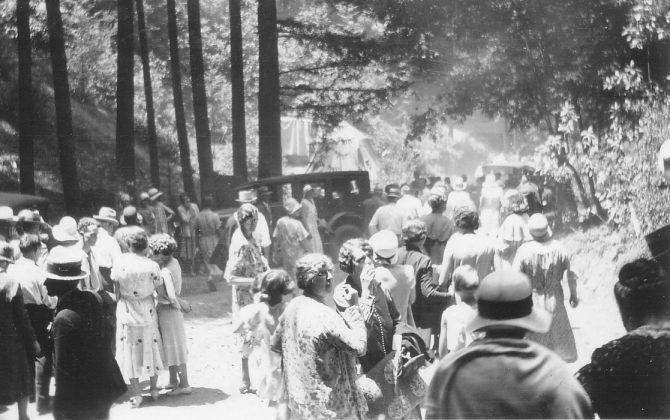 45 acres in the Santa Cruz Mountains, just outside Scotts Valley, was purchased for $6,000 by the Swedish Evangelical Missionary Association of California from the Houghton Family for the purpose of having a permanent place to hold summer conferences, ultimately expanding to its current 200 acres. 1930 First permanent indoor meeting known as Tabernacle was dedicated July 4, 1930. 1940's Fireside Hall was built. 1955 Swimming Pool was constructed. 1957 Outdoor Redwood sanctuary, Cathedral Grove was enlarged and improved. 1961 Original Laurel Lodge destroyed by fire. 1962 Redwood Memorial Chapel was built. 1963 New Laurel Lodge was re-built in its current location after the original was destroyed by fire. 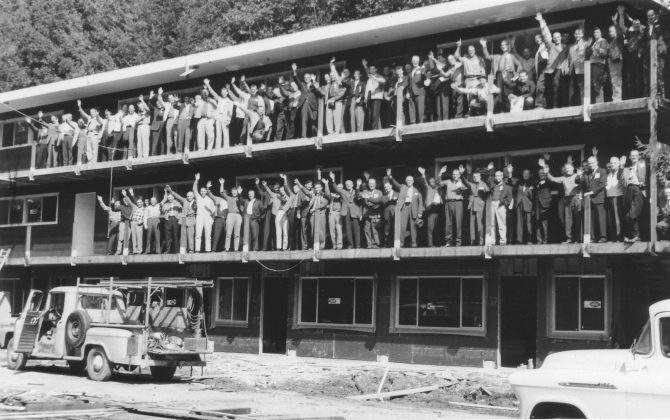 1964 New Worship Center was built to meet a growing need. 1967 Frontier Ranch youth camp was established. 1975 Horse Ranch program began. 1978 Mission Springs Outdoor Education program was established. 1999 Wild Oak Camp for senior high and junior high students began and Horse Ranch ceased to operate. 2003 The new Frontier Lodge, housing for Frontier Ranch staff, Outdoor Education staff and school season rental groups, was dedicated on July 5. 2008 A new steel and concrete entrance bridge (Tabernacle Bridge) was constructed 750 feet down the street from the original entrance. It opened on December 16. Also that same year, a domestic drinking-water treatment plant was completed, using an ozone filtration system to filter 380,000 gallons of water. 2011 Original wooden entrance bridge (Cathedral Bridge - circa 1935, 1955) was replaced with new steel and concrete structure in May. 2014 A waste water treatment plant was completed. This collection and filtration system helps reduce the amount of nitrates that go back into the ground. 2017 The Tabernacle was restored to its original purpose as a meeting space. 2018 New Covered Sports Court and Amphitheater built.